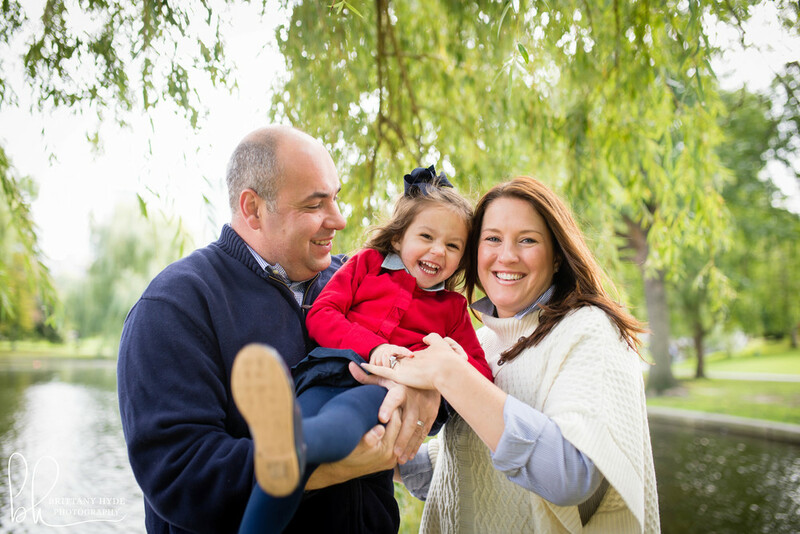 Meet: The Rogaris Family — Brittany | Hyde | Photography. And all of a sudden, it's fall! 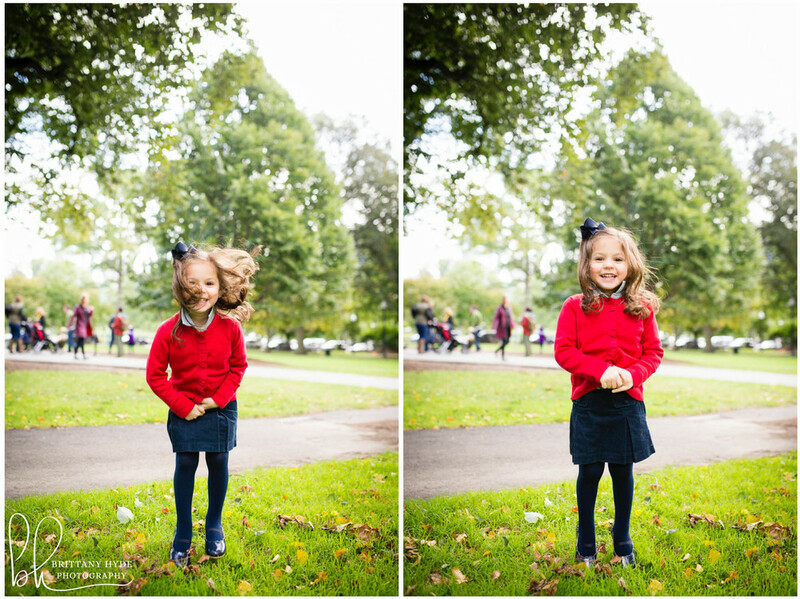 I've been on a bit of a hiatus and no one loves summer more than I do but I am so excited that fall family photo shoot season is upon us (say that three times fast!). The Rogaris family was first up on what ended up being a beautiful Sunday October morning. 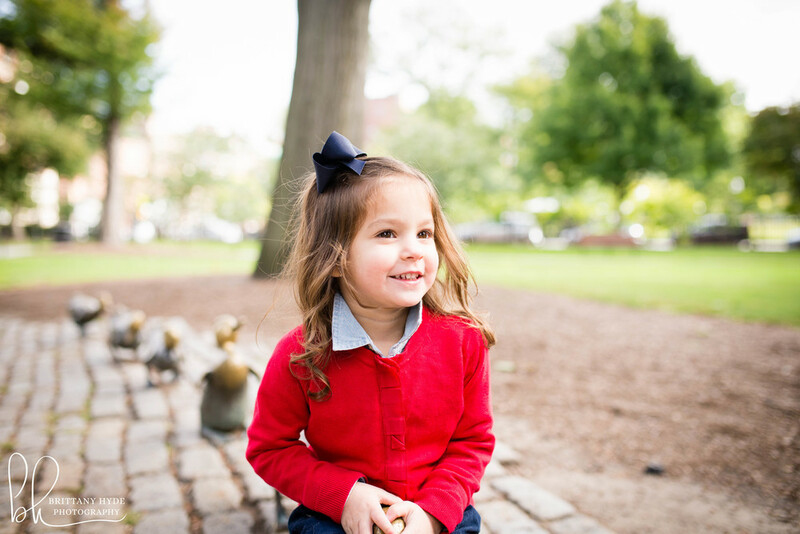 I met up with Megan, John and three year old Charlotte at the Make Way for Ducklings statue in the Boston Public Garden - a classic for any New England kid and the perfect way to kick off the season. While mom and dad weren't super thrilled with Charlotte's listening skills, she gave me more than enough to work with as evidenced below! Rogaris family, thanks so much for spending your Sunday morning with me, I hope you love these as much as I do!